Kia in the UK is a major success story. From just 33,000 units sold in 2005, the company will this year sell an expected 80,000. That’s a 140% rise in sales. The Korean brand’s success owes a little bit to the scrappage scheme of 2009, but an awful lot more to the quality and design of its products. Not to mention that iconic seven-year warranty. The general public has been the mainstay of the manufacturer’s client base, but Kia has designs on the fleet market, too. Market share in the fleet sector stood at 1.6% in 2011, but that had risen to nearly 3% by last year. 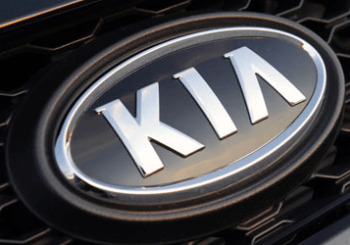 Kia wants to increase this share to 4% as part of a campaign to sell 100,000 cars annually in the UK. The firm will always favour retail but reaching 100,000 sales will mean tipping the balance more towards the corporate market. In the UK, the overall market share stands at 53% for fleet and 47% for retail. Kia’s figures are the other way round: 52% private and 48% fleet. To make 80,000 sales this year, Kia would need an 11% fleet-sales increase to 38,400 units. Last year saw a 4.4% increase. The firm wants to reflect the market more, although still favouring the retail side. But fleet is over half the market, so Kia is aware that it won’t make the sales it wants to without a strong fleet presence. Kia was 13th in fleet sales last year, but there’s no urgency to make the top ten. That’s a target that should take care of itself, thanks to a policy of steady expansion. The firm says it will only do large fleet business if it doesn't lead to financial embarrassment and affect residual values. Kia has put all the right conditions in place for fleet success. Corporate sales count towards a dealer's bonus and the UK dealer network is dialled in to fostering closer ties with local business. Howards Kia also has a network in its dealerships of 25 fleet specialists, a figure that’s expected to rise to 30. Sales staff have their own demonstrator fleet and are well rewarded for higher corporate sales. If your West-Country business is interested in investing in Kia quality and getting that seven-year, peace-of-mind warranty, talk to Howards Group in Weston Super Mare.